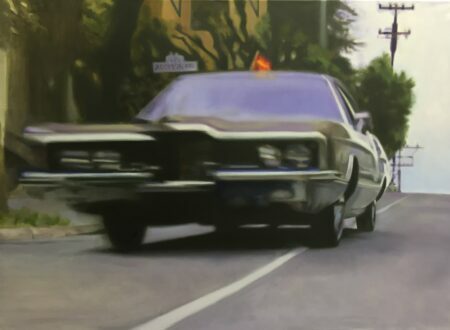 This series of 12 automobile mascots from the upcoming Les Grandes Marques du Monde au Grand Palais are from the golden age of motoring, when exposed radiators led to an entire industry popping up to provide unique, aspirational, and often comedic mascots to attach to the top of radiator caps. 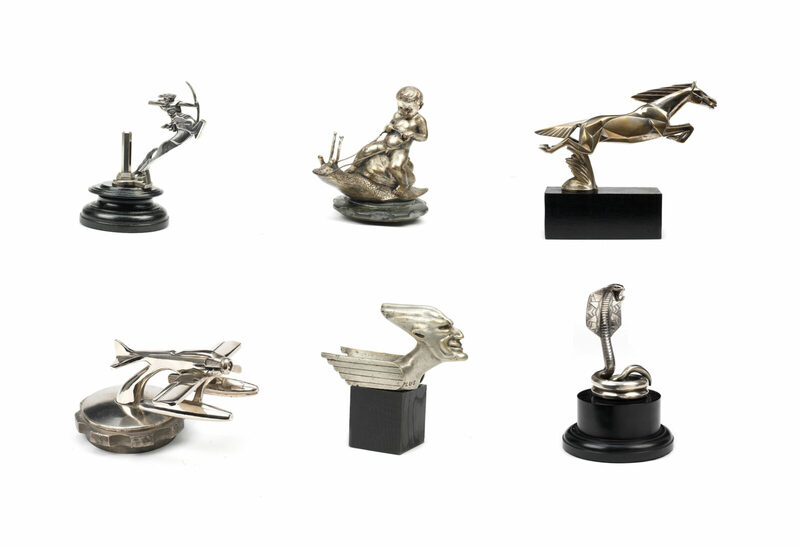 Most mascots of this era were cast bronze with nickel or chrome plating applied, countless designs were created throughout the 1920s heyday, and you have to wonder how many of them got stolen and sold on. 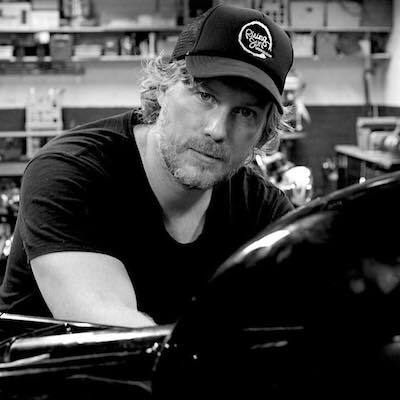 After all, it’s not difficult to remove an exposed radiator cap, just a little hazardous if the engine is still warm. There are mascot collectors around the world, they often mount their pieces on wooden or marble bases to show them off. Signed mascots with a known origin are generally the most sought after however many collectors keep a lookout for unusual (and sometimes downright strange) examples that’ll act as conversation pieces. 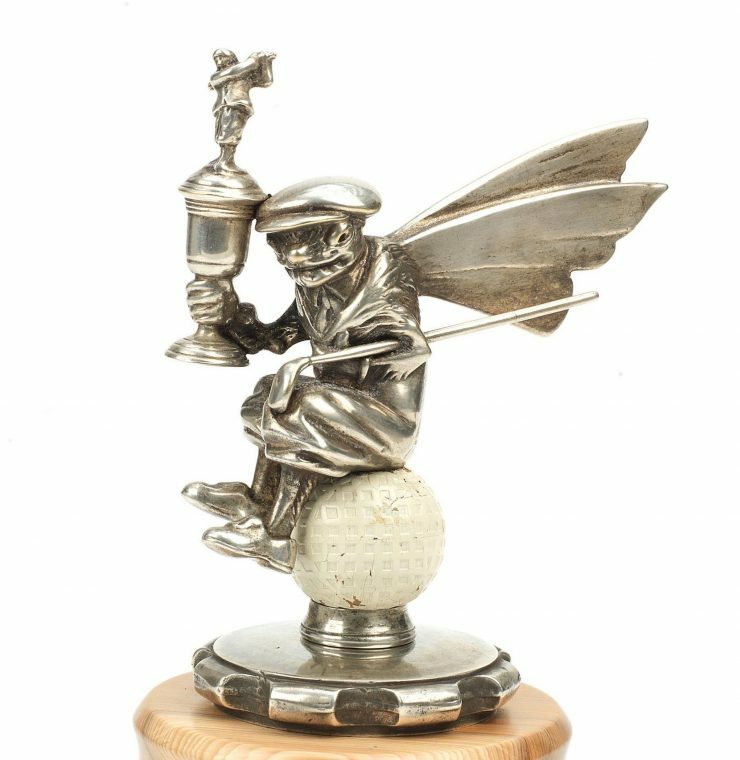 This nickel-plated bronze mascot depicts an unusual winged creature of some sort, who is clearly a proud, award-winning golfer. It’s seated on a golf ball with a trophy in one paw and a golf club under its left arm, it’s 15 cm high and still fitted to a radiator cap, which has been affixed to a wooden display base. 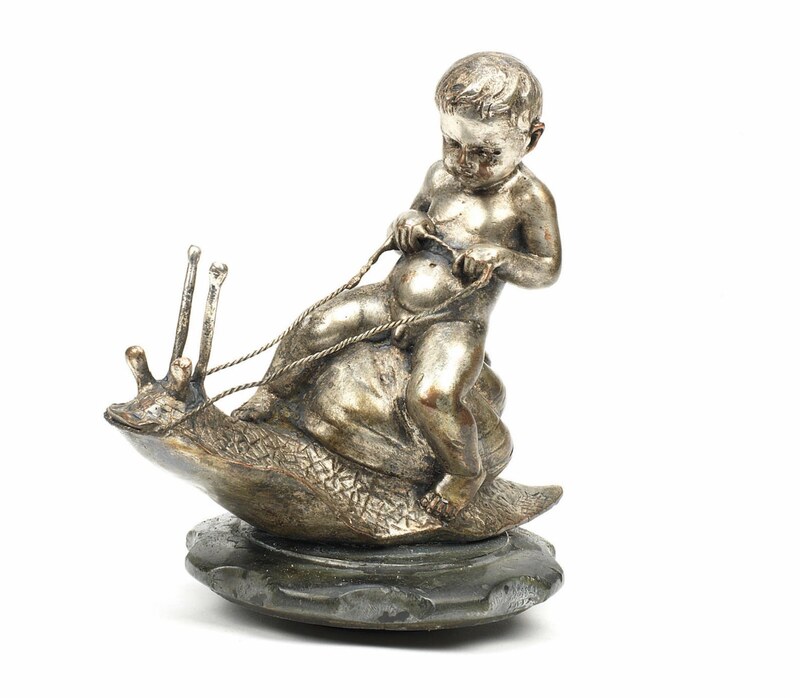 This hollow cast nickel-plated mascot shows a toddler riding a giant snail that’s been fitted with rudimentary reigns, it’s difficult to know exactly why this mascot was created or what it represents, but it’s possible the owner wanted to comment on the sedentary pace of his automobile. 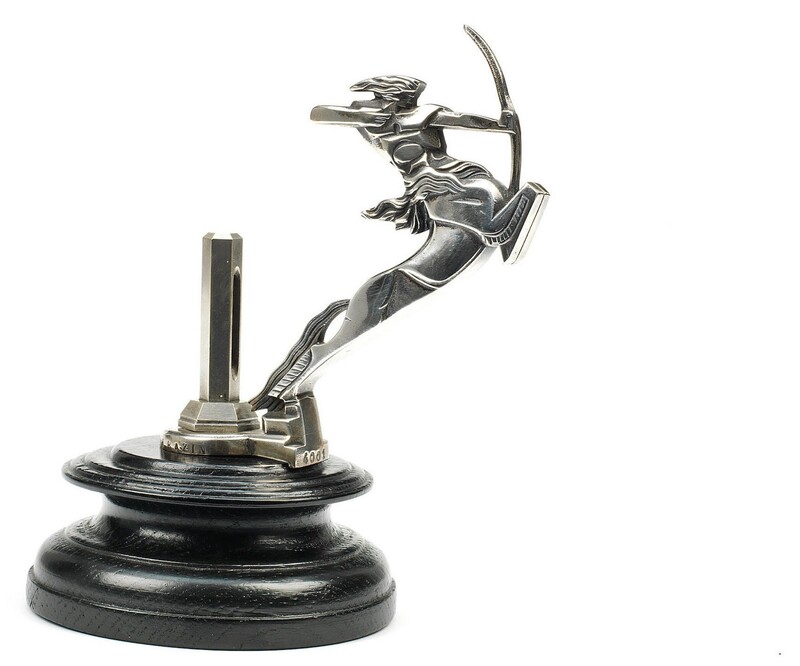 It measures in at 12.5 cm high and it’s mounted to an original radiator cap. 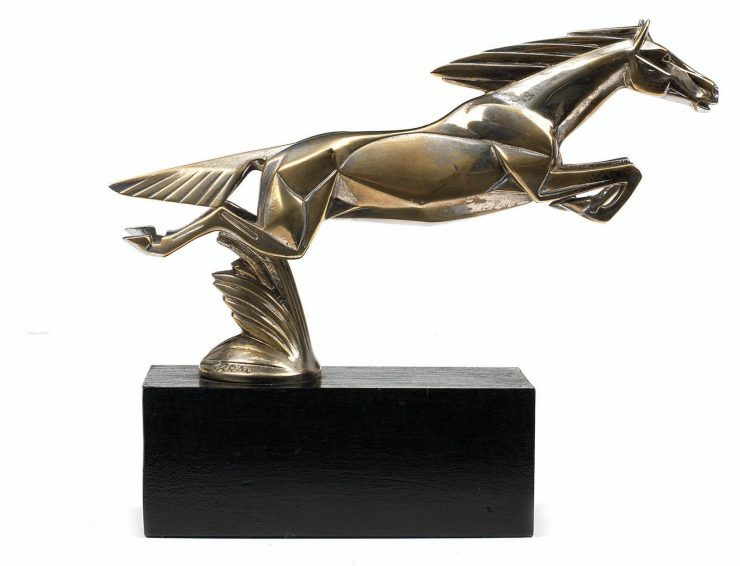 This beautiful art deco horse was almost certainly fitted to the radiator of one of the 1920s quicker and more luxurious vehicles, it’s bronze with nickel-plating and it measures in at 21 cm long. 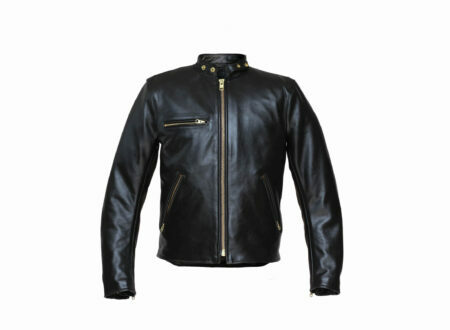 It’s mounted to an ebonised block base. 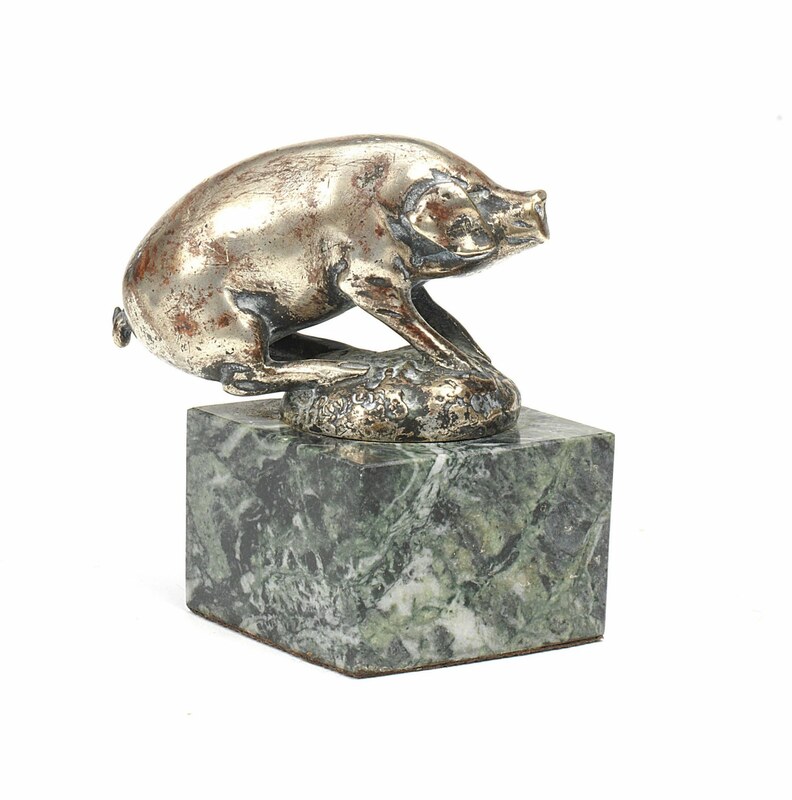 This rather unusual pig mascot appears to be hitting the brakes as hard as possible, it’s made of nickel-plated bronze and measures in at 9.5 cm long, it’s mounted to a marble display base. 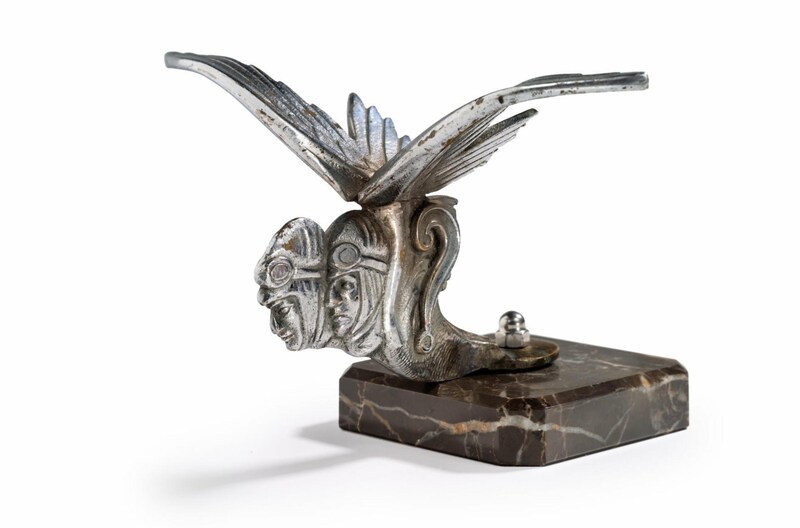 This signed nickel-plated bronze mascot measures in at 20 cm long and features a winged part-bid, part-human figure in full flight. It’s attached to a marble display base. 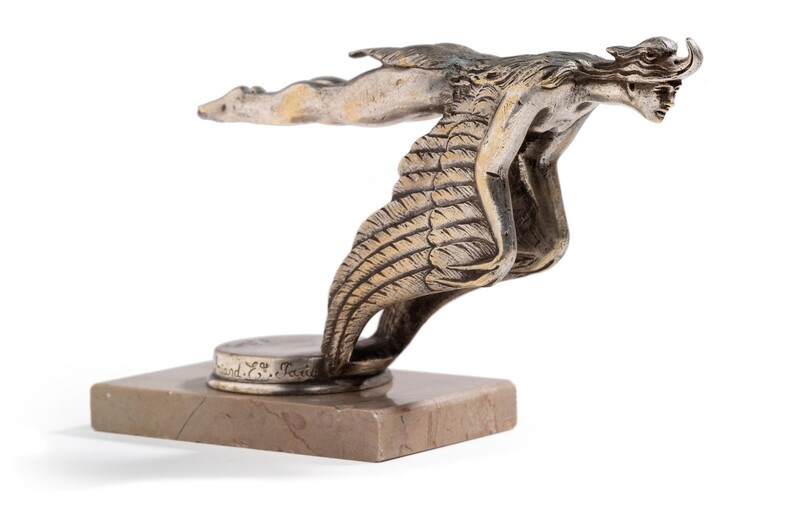 This nickel-plated mascot shows the Supermarine S6B Schneider Trophy racer, it features a rotating propeller and it has a wingspan of 9 cm. It’s attached to a radiator cap and it includes the famous pontoons used on the real plane. 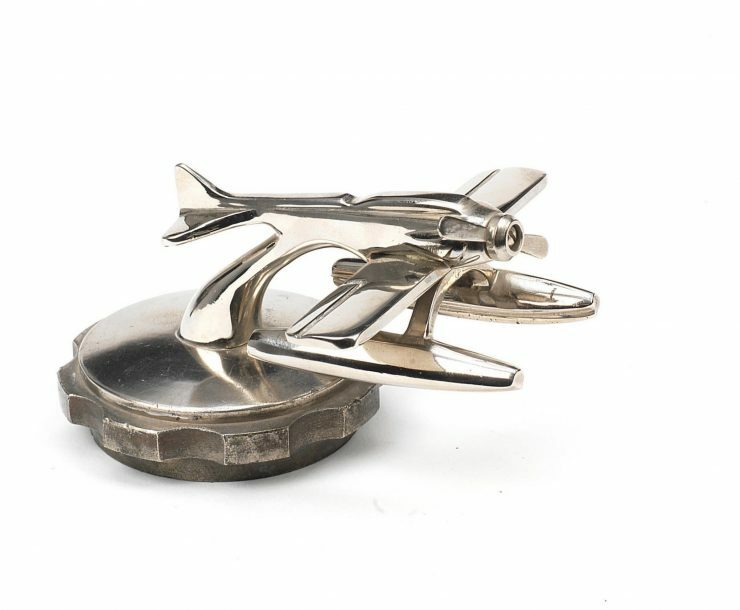 This chrome-plated bronze mascot commemorates the aviators Dieudonne Costes and Maurice Bellonte in the first transatlantic non-stop Paris to New York flight in their Breguet XIX “Point d’Interrogation” Hispano-Suiza engined biplane on the 1st of September 1930. It has a wingspan of 19 cm and it’s mounted to a marble base. 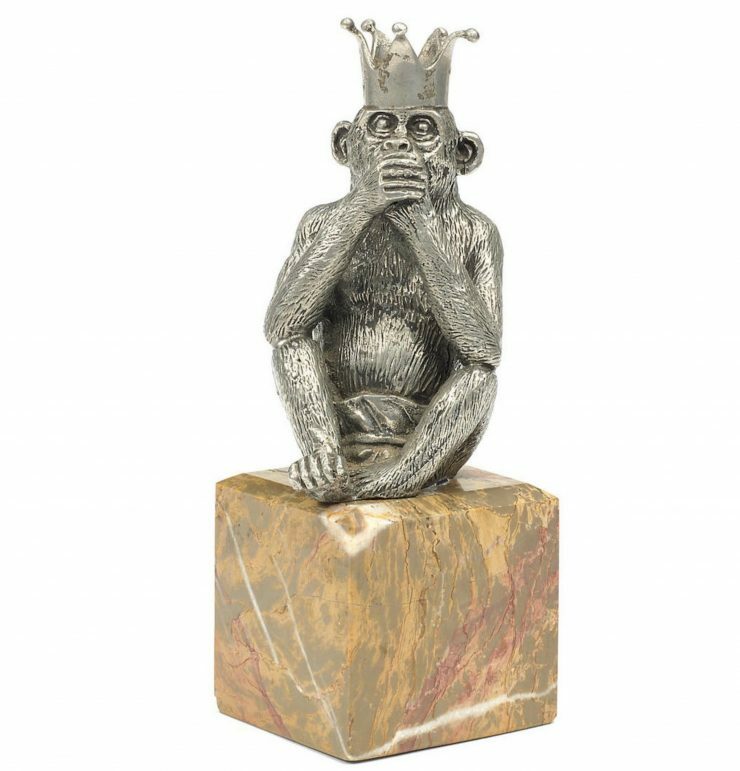 This humorous mascot shows a chimpanzee wearing a slightly deformed crown with its hands over its mouth. 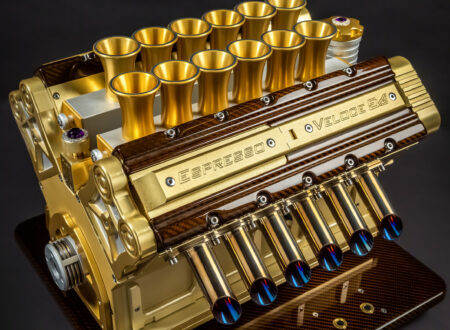 It measures in at 12cm high, it’s made from nickel-plated bronze, and it’s mounted to a marble base. 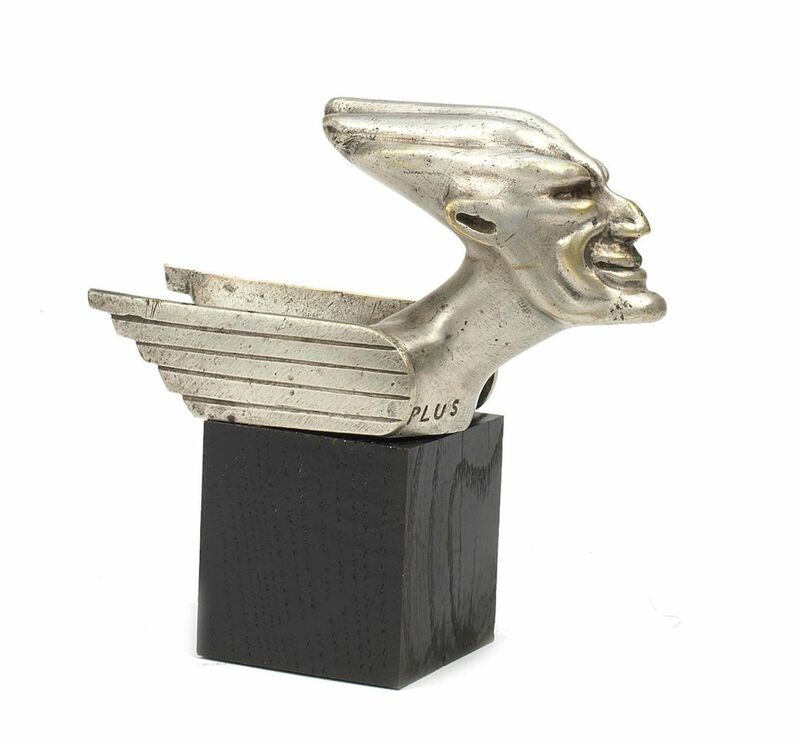 This nickel-plated bronze mascot features a somewhat unsettling-looking winged Demon bust inscribed ‘Plus Vite’ on the front of base. 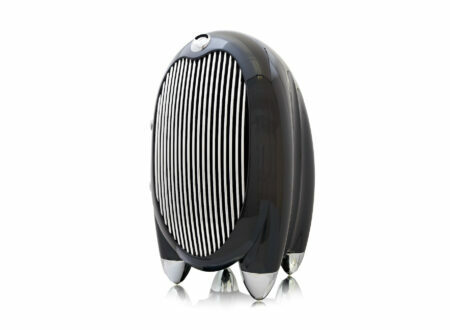 It measures in at 15cm long and it’s mounted to a black wooden base. 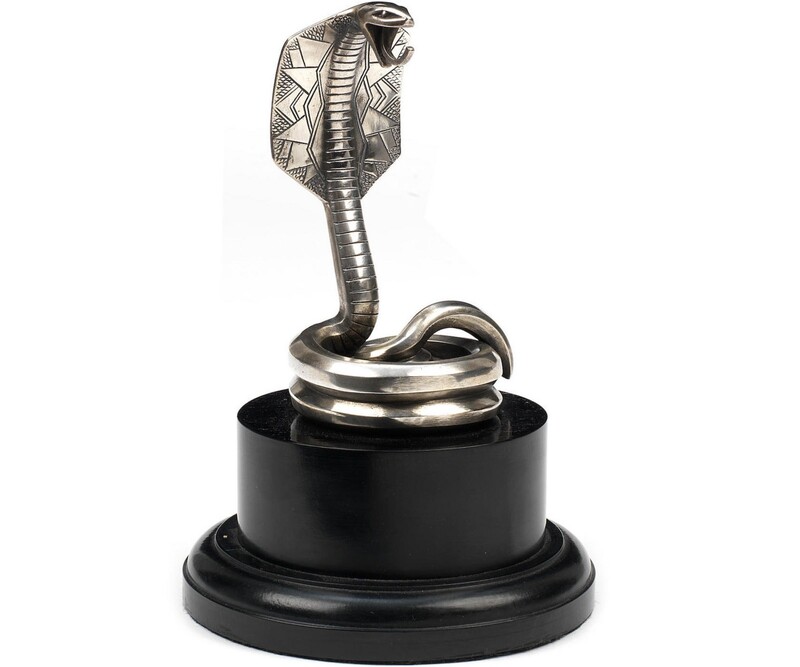 This mascot is undoubtably one of the most beautiful shown here, it’s a King Cobra with its neck flared showing some art deco influences. It’s mounted to a display base and it measures in at 13.5 cm high. This nickel-plated bronze figure of a centaur with bow is beautifully preserved, it comes complete with a pillar and a glass calormeter, it measures in at 16cm high and it’s mounted on an ebonised display base. 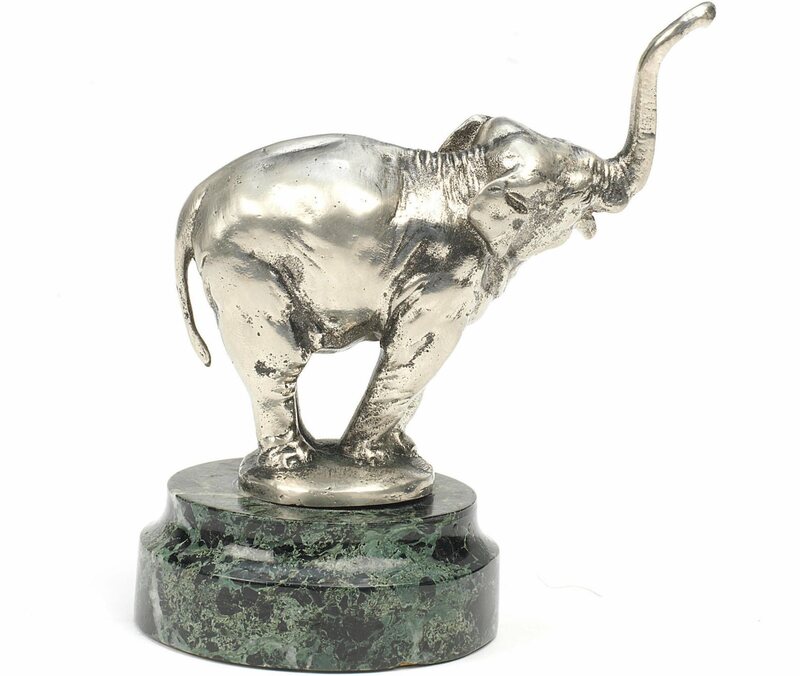 This cheerful-looking Indian elephant is made of bronze and it’s benefitted from re-nickelled plating, it measures in at 11 cm high and it’s attached to a marble base. The Halley Helmet Stand is a minimalist helmet stand designed to protect your helmet’s impact absorbing liner by dispersing its weight over a sphere, rather than over a hook or a knob. 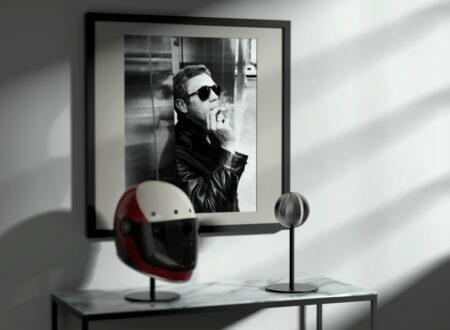 Helmet storage is a problem for many of us, they’re often left on coat hooks or flat table tops, neither of which is ideal….